Clay County Medical Center has partnered with Restorix Health to provide Comprehensive Wound Care. Our comprehensive wound care facility has state-of-the art equipment and highly-trained staff to heal the most stubborn wounds. Since problem wounds rarely result from a single cause, we treat the whole person, not just the wound. To develop the best treatment plan, we consider psychological, social and physical factors. We work closely with your primary care or referring physician to ensure the best possible outcome. We also place a major emphasis on education, teaching you how to care for your injury to enhance the healing process. Chronic wounds can be the result of diabetes, poor circulation or other medical conditions. 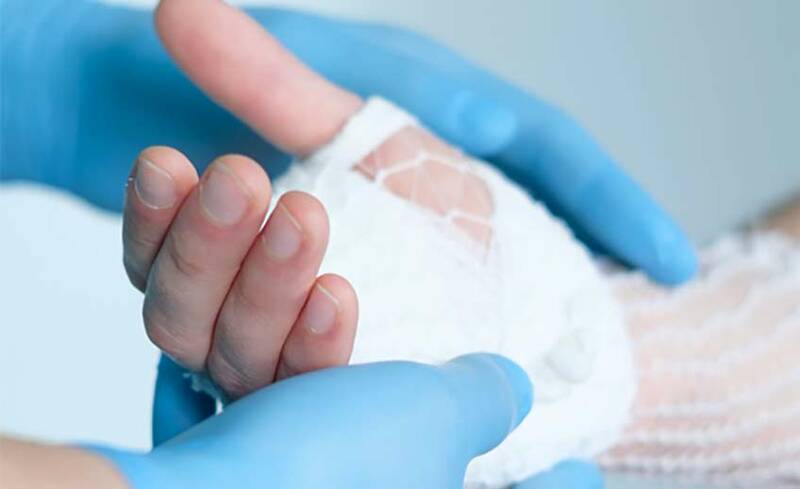 A multidisciplinary staff of medical professionals administer the latest medical treatment for persistent wounds, as well as providing our patients with strategies to protect themselves from developing chronic wounds. Are You a Candidate for Specialized Wound Care? Education for you and your family to include wound prevention, nutrition and hygiene to help the healing process at home. For more information or to schedule an appointment please call (785) 630-5315.